When you think of fruit, what comes to mind? Peeling back a starchy, sweet banana? Plucking a juicy Hood strawberry? Buying a pint of raspberries at the farmers market? A tart cherry? A few months ago, I picked up a couple of cans of ackee, the fruit half of Jamaica’s national dish, ackee and saltfish. Now, I love exotic fruits – it’s fun to think that there are hundreds of fruits around the world that I’ll never try (top on the list, for me, is the cashew fruit… I spent hours walking around La Merced in Mexico City searching for a northerly-straying marañon). 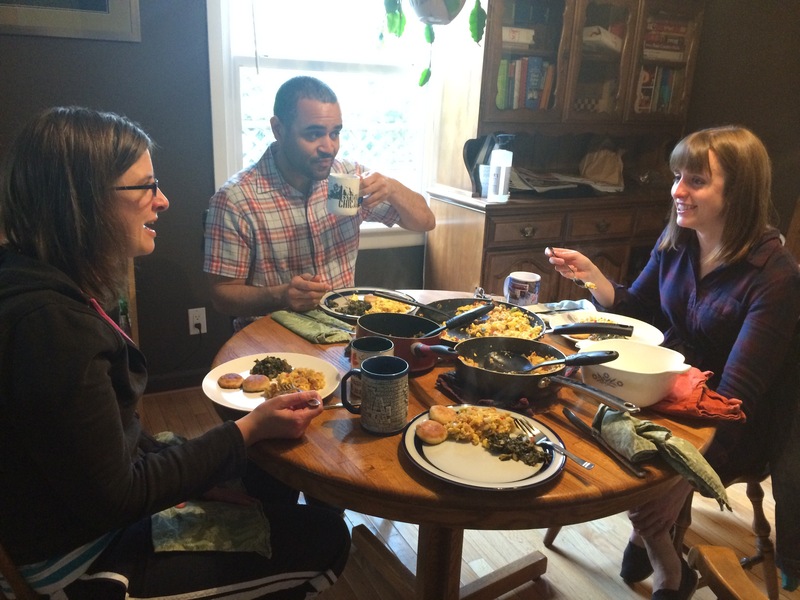 Emily, Nigel and Kayla enjoy ackee and saltfish with dumplings and callalloo. Having decided to temporarily skip Iceland – there will come a day to get putrefied shark meat, but this was not that day – I finally had my chance to pop open the cans of ackee and add to my fruit-eating portfolio. 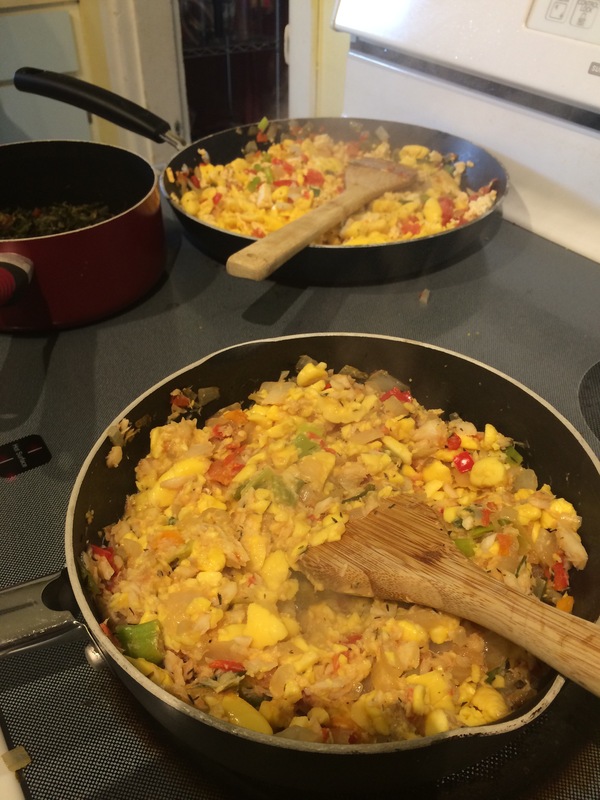 It was a sunny spring Saturday in Portland, and I invited my friends Kayla and Nigel over for an ackee and saltfish brunch. They’re getting married in Jamaica later this year, and have had their share of ackee on prior trips to the island. 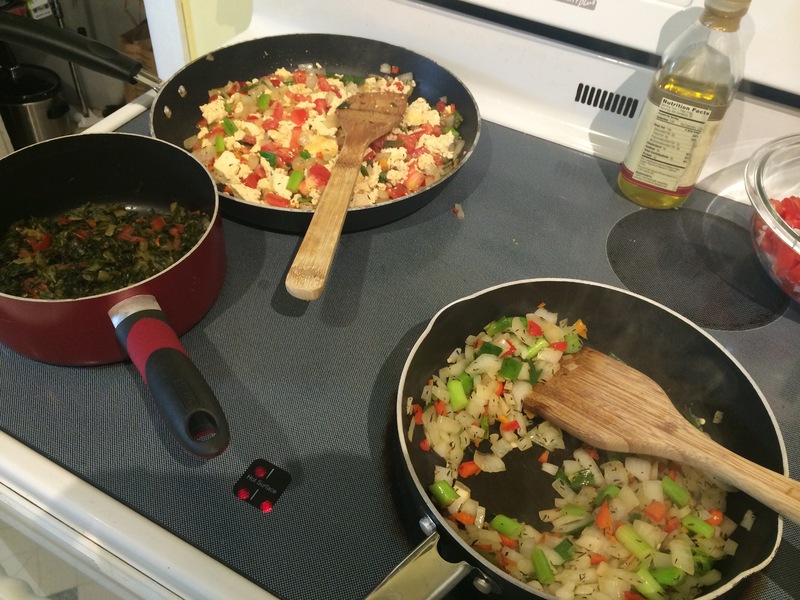 The wrinkle: They’re both vegetarians – so I made two batches of the meal, one with cod and one with tofu. As I was prepping, I finally got to crack open the can of Linstead Market ackee, with the smiling woman surrounded by yellow-and-navy fruits. And much to my surprise, the fruit was all yellow! I had been expecting a bluish fruit, something like an olive. Instead, the ackee was popcorn yellow, and tasted like eggs! It was a great compliment to the fish. Nigel brought along some homemade dumplings, Kayla provided a callalloo-esque spinach dish, and we had a great Jamaican brunchy feast. 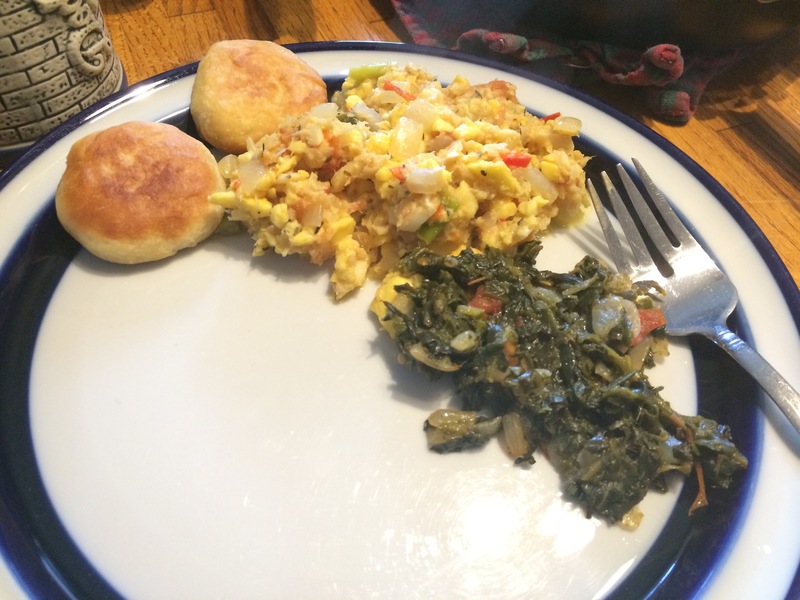 This recipe was sourced from a variety of places, including the back of the ackee can. Ackee and saltfish; ackee and tofu. Soak the cod overnight, then gently simmer for 20 minutes until tender. The ackee looks, and tastes, like eggs. Chop the onion, peppers and tomato, and set aside. Mix the onions and peppers. Cool the fish, and flake it. Melt the butter in a pan and stirfry the onions, peppers and thyme. Add the tomatoes and fish, and stir fry for 7-10 minutes. Add the ackee and cook through. Serve with dumplings or plantains. Ackee, saltfish, dumplings and spinach.